However, reading the prospectus for the offer it appears that CMA CGM “holds directly or indirectly more than 50% of the voting rights or issued share capital of CEVA”. This is somewhat of a surprise as it is considerably higher than the 25% it held in October when the DSV offer for CEVA was rejected and it places CMA CGM in a strong position to buy the company at something like the price it has offered. CMA CGM’s argument for why it makes sense to buy CEVA appears to revolve around three “key initiatives” of acceleration of change in cross-selling, efficiency in back-office processes and strengthening its freight forwarding business. 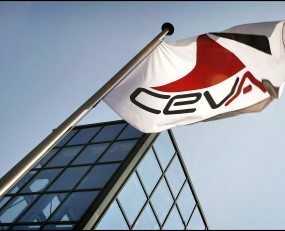 A management plan drawn-up by a management company set the objectives of revenue in 2021 being “above US$ 9 billion” and “an Adjusted EBITDA in 2021 of US$ 470 – 490 million.” The considerable debts attached to CEVA will be restructured and absorbed by CMA CGM. The offer from the French based shipping line looks like it has a good chance of succeeding, simply because CMA CGM already owns so much of the company. Yet the rationale for the purchase in the prospectus lacks conviction. CEVA’s contract logistics business in particular faces significant change as its core automotive market is transformed. The logistics service provider must respond to this with imagination and dynamism, yet it is not clear how the CMA CGM purchase will facilitate that.